In my experience, reducing RGB below 1.00 makes it so that you can't have anything actually be pure white. None of your test shots have pure white to begin with, so you won't see those negative side effects. Stick a lamp in the background behind the color checker and you should see the 0.75 getting clipped on the scopes. One thing I do notice is the white balance shifting, which is an unfortunate feature of the NX1: color is not uniform across its dynamic range. Well, I went to grab some pics to show what I mean, and I may have caused more problems for us. Turns out the clipping happens in Gamma DR but not Gamma C. These were done with RGB set to 0.7 ish. In Gamma C white still peaks, while in DR it has a hard clip. But maybe we can use this info to estimate the processing order for the picture. My initial guess is that this shows that the RGB sliders multiply the R,G,B channels on a linearly encoded image before the gamma curve is applied. (That would make sense, because linear multiplication on a gamma-encoded image is a recipe for disaster!) Then, after the RGB multiplier, the gamma curve is applied. Gamma DR retains all/most dynamic range from the linear image, and thus you see the clipping, whereas Gamma C clips the highlights somewhere before the 0.7 value, so we don't see that hard clip on the scope. More testing required, I guess! As per my post above, which Gamma setting are you on? In Gamma DR, I see sub-white clipping almost immediately. Zebras disappear entirely by 0.87. 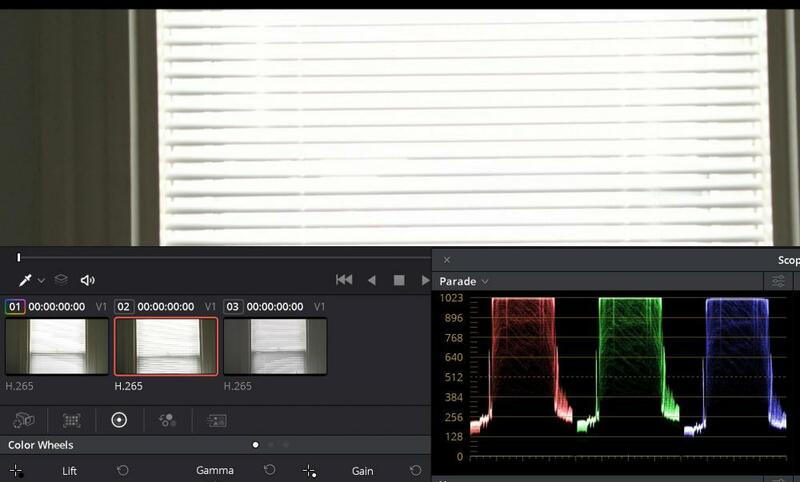 You can still see some noise above the hard clip on the waveform, but I think that's due to HEVC compression estimations and does not represent any meaningful highlight information. Those Gamma C results sure are a monkey wrench in the mix. I am shooting normal (no gamma dr/C) for my tests. I tested with a light source present and premiere measures it to be 255 (on a 0-255 scale) for the light source with 1.99RGB and 1.00RGB, and shows 252 for 0.75RGB. I am going to do a few more tests to see the lowest point it still measures 255. There may still be cases in which it is better to shoot with 0.75RGB and clip your highlights in order to expose the subject better (better shadow detail). Not that I would suggest taking a photo like this, but an example may be taking a photo of a person with a light source behind them. 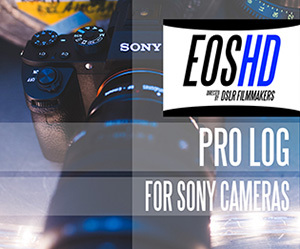 Are you doing photos or video? It seems to me that the RGB sliders essentially do the same thing as an ISO adjustment, but after the actual ISO adjustment clips something. I've seen a lot of claims that the NX1 doesn't use analog gain ("ISO invariant"). So ISO adjustments only adjust digital gain--essentially a multiplier, probably in linear space. If that is the case, then, assuming we avoid clipping, the RGB sliders have no effect other than tricking the camera into thinking it's at a different ISO, which could change the automatic noise reduction and sharpness. That was sort of what my conclusion was, way back last time I posted here. Basically, I can shoot at ISO 400 with the boost, and get an ISO 800 exposure without such aggressive noise reduction. IF my analysis is correct, then lowering your RGB to 0.75 will both lower your highlights and shadows, pre-gamma curve. So you gain some highlight DR, and lose some shadow detail--basically, the same thing as lowering your ISO. We can test this by measuring like you did in Premiere on their 0-255 scale, but instead we transform the image into linear space first. My prediction is that every pixel will drop in value by a factor of 0.75 at that point. Thus, the >255 values drop down into range, and values near 0 will have a lot of noise. Please feel free to do that test, as I don't know how you would make it into linear space. All of what you say though makes sense. The curve doesn't change, but the value for each point on the curve shifts. Also, 0.85 will produce something registering at 255 on a 0-255 scale, 80 and lower will not achieve this (only 252-253 max). My test was for overexposure to begin with, so I will have to retest with normal exposure to see what else is happening, but with 1 stop of overexposure, my tests with values of 1.00 and lower register the light source in the scene as well as the white on my color checker both at the same value (255). When shooting at 1.99, the light source is 255, while the white on my color checker is 254, so a slight difference in highlight range even at 1 stop over. So I did some tests and the results did not line up exactly with my prediction, however, I think there is a reasonable explanation. All were shot in normal DR using Custom 1 profile. All clips are 1/50 shutter, f6.3, and ISO 800, except the last one. I chose 0.5 for the RGB boost because halving is really easy to evaluate. RGB1.0toLinearMult0.5: Shot with sliders set to 1.0. It was transformed from Rec.709 to Linear space, and then multiplied by 0.5. RGB0.5toLinear: Shot at RGB 0.5 and then converted to linear. I expected this to be exactly 1/2 the value at each point. Obviously, this is not the case, most noticeably in the highlights. One possible explanation is that, like most cameras, the NX1 doesn't shoot a strictly Rec.709 image, but implements a soft highlight rolloff to make the image more pleasing. Unfortunately, I don't know any way to eliminate this source of error. RGB0.5DoubleISOtoLinearMult0.5: This is the interesting result. I shot at ISO 1600 to compensate for the RGB drop to 0.5. I converted from Rec.709 to Linear, and then multiplied by 0.5 the same way as the first shot. Notice how it is almost identical to the first shot, except that it clips sooner. This is what I'd expect from an ISO invariant camera: higher ISO simply reduces highlight headroom without providing any exposure benefit (except that digital gain is done pre-compression which is a HUGE benefit for an 8 bit compressed image). As a side note, the reason we don't have the massive fluctuation in highlight shown in test 2 is that the recorded image is essentially the same exposure (half RGB, double ISO). I think this is more evidence that the RGB boost occurs before the gamma curve, which is where the rolloff would be implemented. 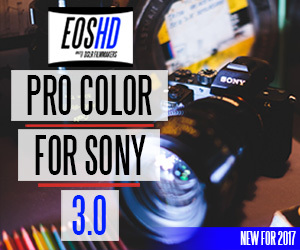 This correlates with my findings many months ago, which is that providing an RGB boost closer to 2.0 makes a DR benefit, simply because the camera is tricked into using a lower ISO and thus keeps that headroom, at the expense of shadow detail. What I have not tested is how much the shadow quality differs, since that's pretty subjective and I don't know how to test it objectively. By eye, I don't see any shadow detail loss, but again, that's really subjective and anecdotal. It's worth mentioning that my tests from way back when were in Gamma DR. It may be possible to extend DR in other modes using an RGB <1.0 since they clip at a different point. But if I was right earlier about Gamma C clipping before 0.7, then you may as well just shoot in Gamma DR if you want to maximize DR. I'm thinking when in a situation where you cannot avoid highlights being blown out, it may be worth going to 0.85 and getting more shadow detail since the highlights are lost anyway. 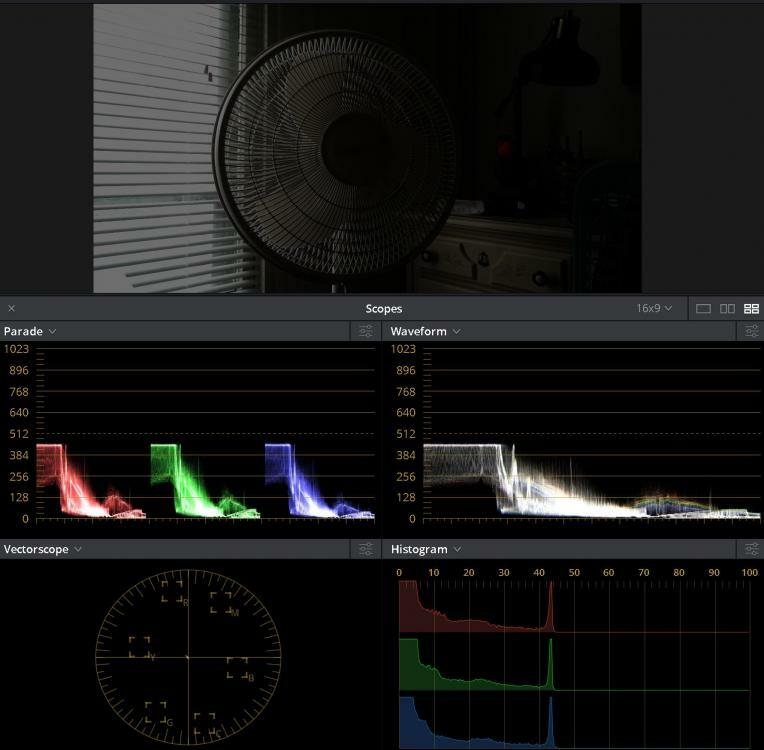 This doesn't apply to gradual highlights like skies, but rather like an indoor shot with a blown out window where it wouldn't make sense to expose for highlights. I think in this case the color checker is a limited resource. I will fill in as the subject for the next tests to see how real world situations are affected. Good stuff so far. How are you judging highlight and shadow info from the histogram? Does one image have some motion blur? The word x-rite is much sharper in the bottom image. It looks to me as though the lighting changes a little bit, too. The balance of brightness on the bottom right frame of the color checker vs. the center hinge changes considerably between the images. Ah, I see what you mean now. But could that be from changing light? 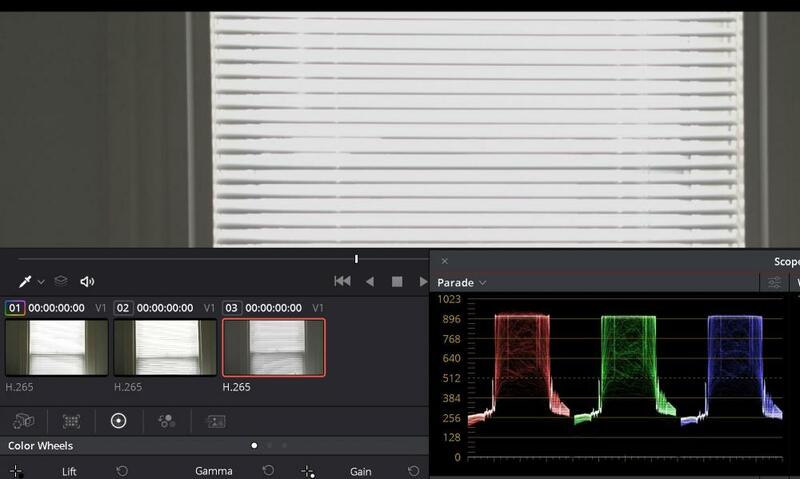 I think that spike at the top end of the histogram is the color patch, and everything above that is the reflective bits of the the color chart borders. Looking at the waveform, on the top image there is nothing above the rightmost color patch, whereas on the second image there is some vague noise much higher on the waveform than the rightmost patch. Very interesting! It looks a lot like the results I got with 1.00 vs 1.99. 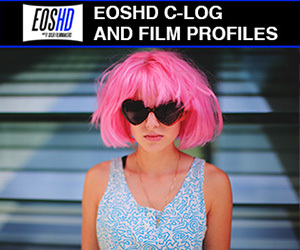 How did you match exposure? Did you open the aperture a stop on the 1.00 version? Nice, so ISO is consistent so any improvements in DR are from the boost itself. I guessed aperture because I can see some difference in sharpness, especially in the light in the background. However, one thing I notice now is that there is a bright column in the background on the right that is only visible in one shot, and in the same way there is more pure white in the lamp. Since a Histogram totals a constant value, then adding white will necessarily change all the other bars as well. So I'm focusing more on the waveform. It certainly appears that the lamp's patch raises a little bit farther past 100, which is interesting. Also it's got those noisy tendrils shooting way up to 110 almost. I wonder if it's possible that since the lamp is in sharper focus, the NX1's sharpening kicks in and adds some more local contrast to the lamp, sending a few pixels higher into superwhite? I mean it's not like the camera is actually resolving detail brighter than the center of the lamp. Though of course that doesn't explain the patch overall being taller, just the noise up to 110. Out of curiosity, are you using 0-255 of 16-235 here? Well that's true and it isn't. For instance, if you shoot at .50RGB, highlights clip at about 92 IRE. But if you expose to have your highlights under 92IRE, they don't﻿ clip. So my idea of shooting <1.00RGB values and raising in post could possibly be done. I thought I addressed that with my theory that the RGB slider operates on a linear image before the gamma curve is applied, which explains why it clips almost immediately in Gamma DR but not in Gamma Normal or C. But I expect that the RGB slider multiplies shadows as well, so not sure how much usable DR you would gain as it basically just lowers exposure overall. Certainly something to test if you want to follow the rabbit hole! I think the only way we could meaningfully get a DR increase is if we could apply the RGB multiplier to the top half of values, but not the bottom. Most of what I've seen so far, both with my tests and yours, is really minimal, if at all present. However, the difference between -15 and +15 master pedestal was obvious when doing this extreme test. Lifting the shadows on the -15 MP shot, colors on the color checker were distorted and wrong. While MP +15 lacked contrast and DR, the colors were present and much more accurate. As far as I can tell, MP doesn't really add DR with a positive value, it just raises the blacks up a bit. At most you gain back a little bit of noise. With negative values yeah, it seems to lose shadow detail. So I usually leave it at 0. Haha yeah, I just spent a good part of my day on this, and the funny part is I doubt I'll ever even use my NX1 for a project again! For my next project we're using the director's XT3. I did shoot a big project on my NX1 using RGB boost last year, which I might detail here once it's released. For me it was all about finding a general setting that worked for everything, since I wasn't going to fiddle with settings on set even if I knew wanted. 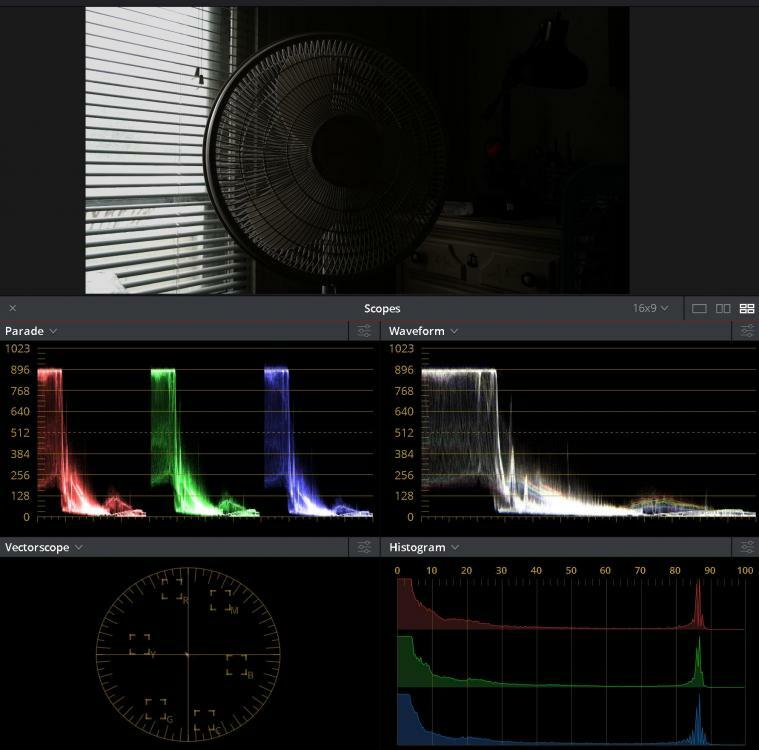 So I used RGB values near 1.99 in Gamma DR, built some LUTs that worked with those settings, and left it that way. Worked pretty well in hindsight.